Does Anyone Remember the General Glover House in Swampscott? The General Glover House was the only restaurant I knew of named after a local Revolutionary War general (John Glover) born in Salem and raised in Marblehead. So, why was the restaurant located in Swampscott? Maybe it was a good "general" location. Sorry for the bad joke. Anthony Athanas, of legendary Anthony's Pier 4 fame in Boston, opened the General Glover House in 1957 with the charming Essex Room at the forefront of the classic memories here. The Essex Room was definitely charming because they said so in the promotions. The huge room came across with its everything-but-the-kitchen-sink colonial stagecoach stop scenes including the big fireplace, post-and-beam ceilings and lanterns and copper pots all over the place. The waitresses were such good sports, having to dress up in those long colonial-style dresses and the goofy frilled white caps that concealed 60s and 70s hairstyles. As kids, we thought George Washington would walk in the room at any moment, especially at night where it was known that he couldn't sleep. How do I know this? Well, he couldn't lie. The General Glover House was good but not great, in my opinion. Down the road in Saugus, the Hilltop Steakhouse served better steaks, and the Continental better popovers. Plus, it was more fun trying to drive 90 MPH out of the parking lot at the Hilltop to try to break into the insane Route 1 southbound traffic. I believe the General Glover House closed in the 1990s and its presence is definitely missed even if it wasn't my favorite North Shore restaurant. I miss most the really neat colonial theme (well there's a "Leave it to Beaver"-type phrase for you!) and the kind waitresses that were enough to make the dining experience worthwhile! The Boston area had this bad rap in the 60s, 70s and 80s about lacking good delis, but in a pickle they seemed just fine to me. Plus, it was a lot closer, geographically, than traveling to that deli capital of the world called New York City! Ken's at Copley, Boston Ken's seemed to please all generations -- popular amongst students looking for a cheap meal, kids magnetized to sandwiches, and, in general, all fans of good deli food. I remember the rotisserie chickens, excellent pastrami sandwiches and that brisk, sometimes brusque deli service so akin to many delis. The Boylston St. location was ideal, as back then, the area had a surprisingly low number of good places to eat -- probably fewer than the towns of Podunk and East Washbucket (sorry, had to be dramatic here to prove a point). Ken's always seem to hit the spot and one of the owners (the one named Ken) brought a lot of pride and character to this Boston deli landmark. Mel and Murray's, Liberty Tree Mall in Danvers I used to go to Mel and Murray's Deli with my grandma Anna and family at the Liberty Tree Mall location. My grandma made the best Jewish-style food anywhere in the Boston area in her very own kitchen, but sometimes she needed a break from all her hard work. Mel and Murray's more than held its own as a convenient stop for excellent deli food. The original Mel and Murray's started in Lynn, I believe, in the 1920s, but they eventually expanded -- seemingly with no drop in quality. Usually mall and "sequel" suburban restaurant locations fall about as flat as a potato pancake, but Mel and Murray's somehow held onto the tenets of a good Jewish deli that reflected the quality of the original location. Metro Deli, Boston As a Suffolk University student with a fast metabolism, I would often walk to Cambridge St. for a full turkey dinner at the Metro Deli and then return to sociology class lethargic from the large serving and all that tryptophan. They would carve the turkey fresh every day to create the next best meal to Thanksgiving. I remember the drumstick that was about the size of Rhode Island, and all the "fixin's" including stuffing, gravy, cranberry sauce and mashed potato. The Metro Deli wasn't just about the turkey, however, as they served some huge, delicious sandwiches. Why didn't anyone outside this neighborhood know about the Metro? I think it was the best deli in Boston! As an added bonus, virtually everyone working at the Metro looked like comedian Richard Lewis. B&D Deli, Brookline Not that I am an expert of New York City delis, but my guess it that B&D came as close to an authentic Big Apple Deli as any in the Boston area. 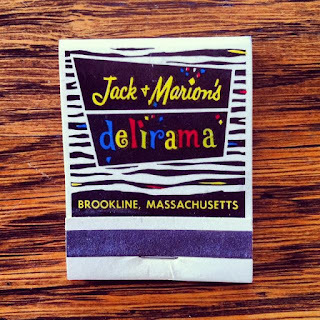 From 1927 to 2005, B&D took on a household name status in the world of local delis. I always thought it was better than the famous, also closed Rubin's Deli in Brookline. Through the years and the many conversations about local restaurants, experts on delis and those who knew nothing at all (translation: vacuous), mentioned the B&D Deli as one of their favorite delis. Falling into the latter category, I really loved this place! Jack and Marion's, Brookline Jack and Marion's offered amazing soups, substantial main meals and huge desserts in a bustling, semi-urbane atmosphere. I loved the pleasant dining room with deli aromas that seemed to extend to our faraway parking space -- and, lucky us, that is was always raining on those days. For some reason, Jack and Marion's gets lots attention as the deli locals miss most -- just look online, or ask any local senior citizen or knowing baby boomer loving good deli food. 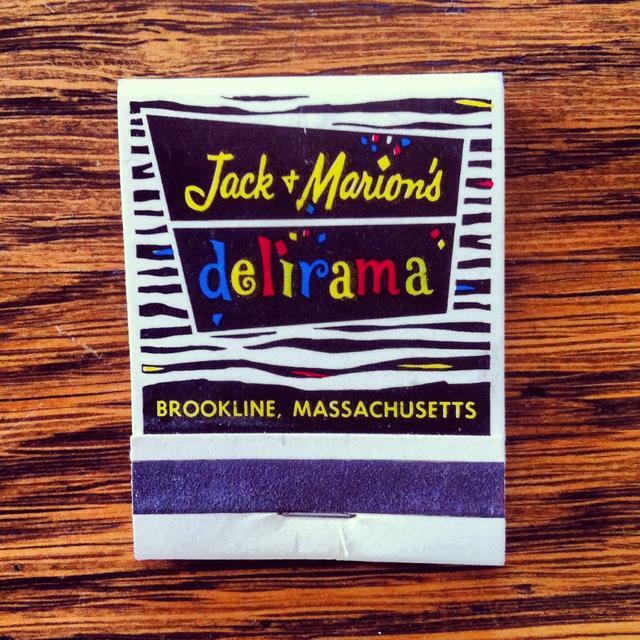 What were your favorite delis in the Boston area that are now closed?